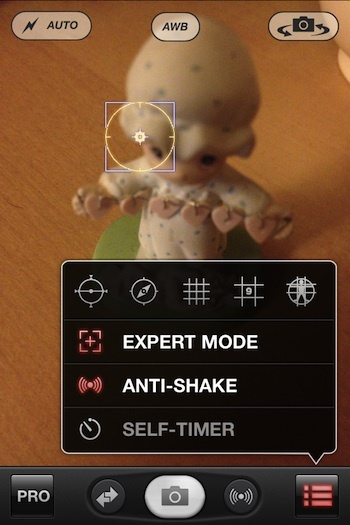 I have covered ProCamera a few times in the past, running through features and their updates. The app is one of a couple ‘pro’ camera apps I use on my iPhone when shooting around town since it is so quick to adjust the settings to zero in on the shot I’m looking for. ProCamera lets you fine tune just about every feature: Stability, self timer, expert mode (focus/exposure separate, RapidFire, HighSpeed mode, enhanced photo zoom, Date stamp, Auto Save, Fullscreen Trigger, video focus, video zoom, video preview, use the volume as trigger, geo tagging, system sounds, quick flick album…. wait, there is more… there is ‘Advanced Options’ too!! Green mode, Direct Photo/Video Toggle, Calibrate Virtual Horizon and Copyright exif. ProCamera, it’s all about taking photos with your iPhone your way… and it’s on sale!